Description: Clearsnap Rubber Stamps can be used with any kind of ink or stamp cleaner you'd normally use. They are easy to use and perfect for papercraft fun. 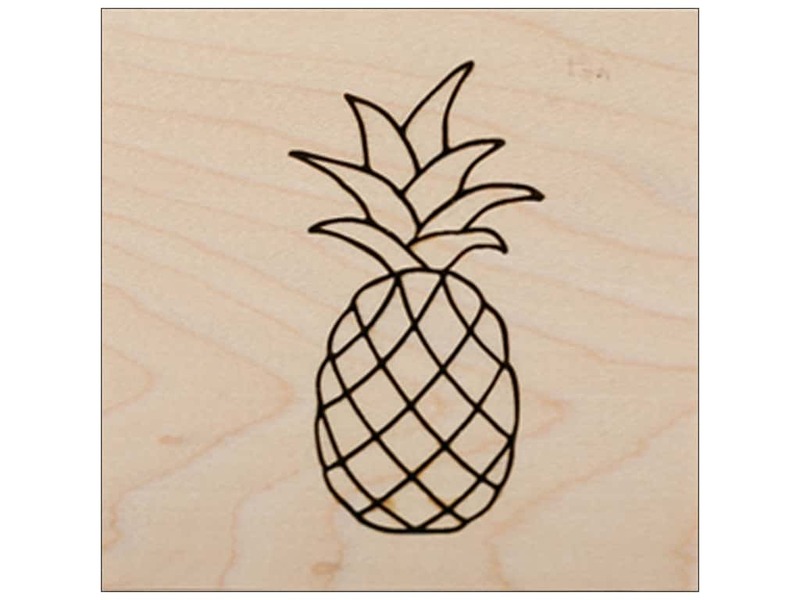 Wood Mount Pineapple- Stamp image of a pineapple. Wood mounted rubber stamp that measures approximately 1.5"x 2.5".